At last count, I have 8 different kinds of sugars in my pantry: Granulated white, super fine, brown sugar, powdered, and Stevia Sugar Blend. I also have turbindo, sucanat and Stevia drops. The last 3, I don’t really use for baking, but nevertheless it is in my pantry. One must be prepared. Can anyone relate, or is this just excessive? My DH discovered all these sugars when he was cleaning out the pantry recently (although reluctantly he does so, but I have seen his father do this in his household many times over the years and I insist that this is one of my husband’s household chores). He wanted to combine the superfine with the granulated and I had to explain why he couldn’t. 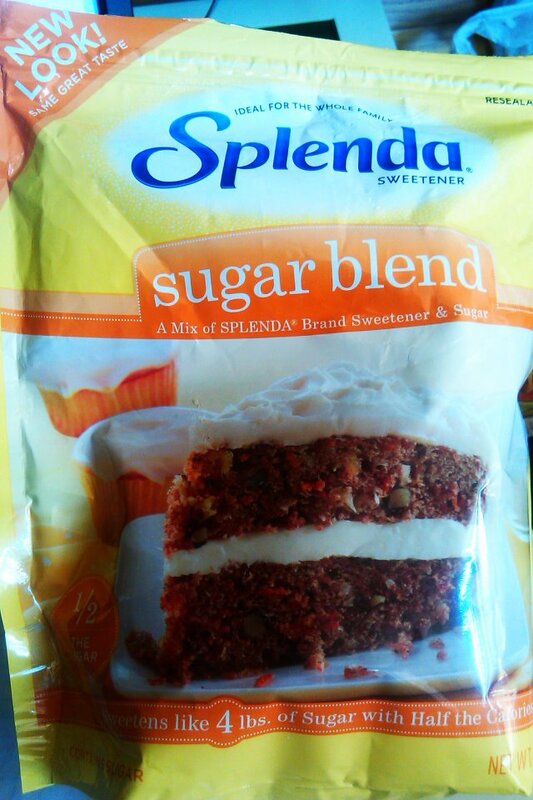 My new sugar staple is Splenda Sugar Blend. The reason? I am being asked to make more diabetic-friendly desserts than ever before. It contains sugar, but it’s mixed with Splenda and the product claims that it “lets you enjoy all the sweet things you love with just half the sugar and calories.” Wow, have I got some high expectations! I was asked to make a diabetic-friendly carrot cake for RMS, and I remembered seeing a scrumptious picture of carrot cake on the front of the Splenda package, and I decided to make it. 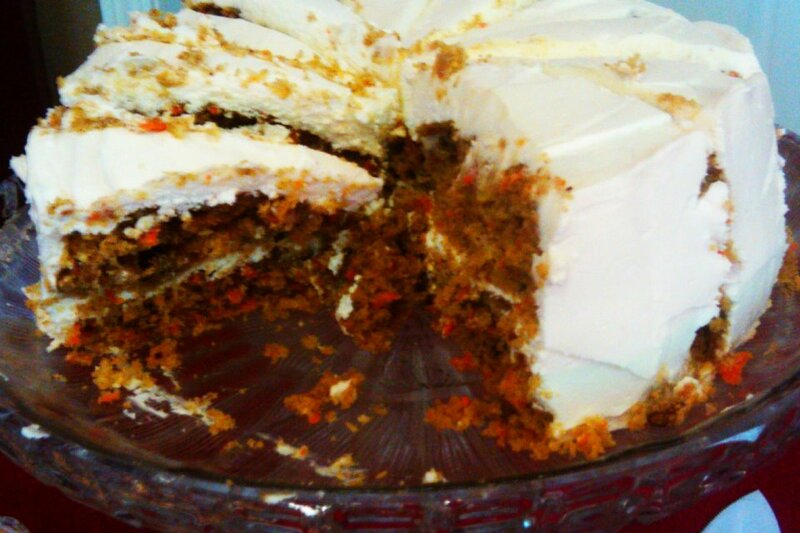 The recipe for the cream cheese frosting can also be found on their website. Make sure you whip up that cream cheese real good so it has a nice frosting consistency.